This will be a short post…because I really don’t have anything to talk about. The past two days have been BORING!!! We woke up to gloomy weather this morning. The rain has started coming down…and there is no sun to be found. I know that it is boring to talk about the weather all of the time, but it affects us so much. To pass the time I have started reading “Still Alice” out loud to my mom. This is one of my book club pics for a future month, but it seemed like something that would interest both my mom and I. The book is wonderful! We are on page 75 and totally captivated! It is about a Harvard Professor that was diagnosed with early onset Alzheimer’s. Since we know so many people that have loved ones affected with Alzheimer’s & my mom has a neurological disease herself, it is extremely compelling. I know that the book has gained a lot of popularity, so I am sure that most of you know about it or have even read it! Catey came by again to help us out today. We watched a little Oprah & Dr. Phil with her while she helped us out. Oprah was so devastatingly sad that it went well with the weather. It was about a couple that had lost their 3 children in a horrible car accident. You can always count on Oprah to keep your attention! Our hearts go out to that family. I cannot imagine the pain that they have gone through. After a show like that, you remember to count your many blessings & truly appreciate what you have in life & acknowledge that life can change in an instant. 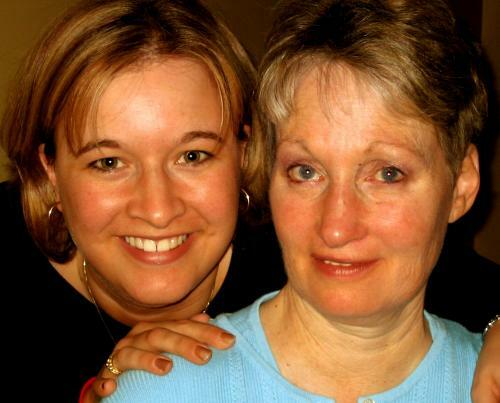 I know that my life changed immediately after I heard my mom was diagnosed with ALS. The life I knew…would be no longer. I am so lucky to still have my mom! Ok, that is enough rambling for today. Looking forward to the week picking up! Thankful: I am thankful for Oprah…what are we going to do when she is no longer on? She has been a staple in my life since I was a young girl.